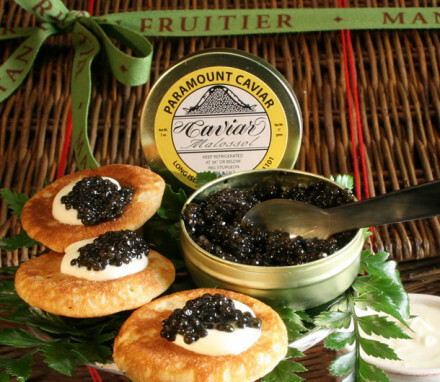 The luxury of fine Scottish smoked salmon and French Osetra caviar from Russian sturgeon. These gifts have cachet with attention to every detail so they can be opened and savored on the spot! 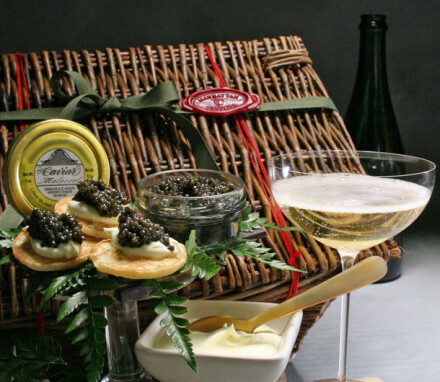 We use the finest Scottish smoked salmon and French Osetra caviar in our fish gift baskets, all designed to include every component needed so that your recipient can simply open the gift and eat on-the-spot! Atlantic salmon cured and smoked in the age-old Scottish tradition and then hand sliced thinly with care to maximum succulent effect. 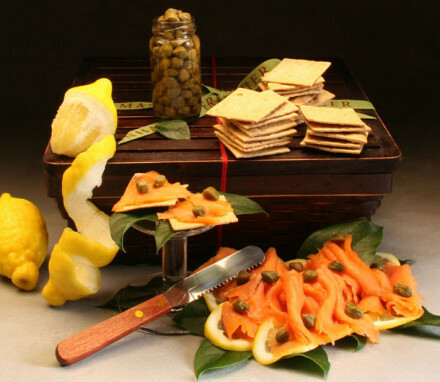 Capers, fresh lemons, olive oil flatbreads and knife complete this gift. 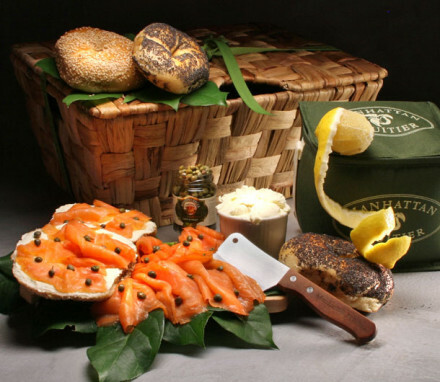 To double your smoked salmon pleasure, try our larger fish gift basket that also includes dill-cured Gravlax. For the ultimate fete, consider sending our regal Epicurean hamper. 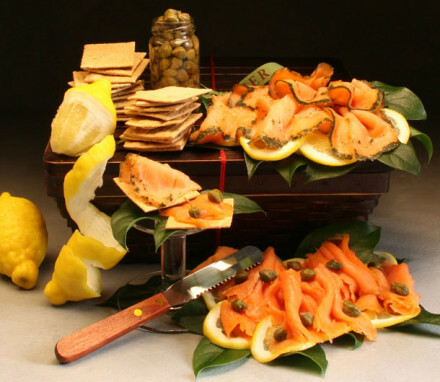 While containing smoked salmon (and caviar, if you choose), this is much more than a fish gift basket. Proscuitto, parmigiano-reggiano, flatbreads and breadsticks, fruit, chocolates, pastries and other assorted sweet and savory treats round out this gift of pure grandeur. 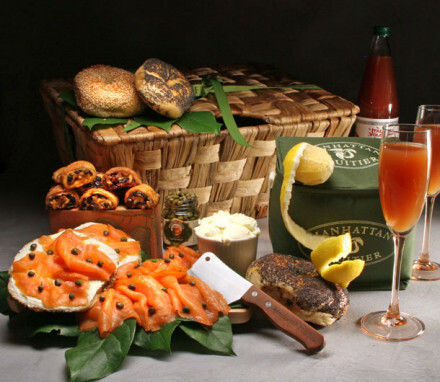 If you want to impress, the Epicurean hamper will not disappoint.